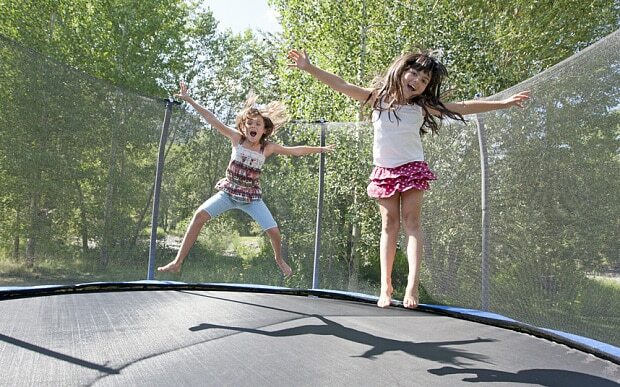 Backyard trampolines always sound like such a good idea. They’re so fun and tempting. You definitely always wanted one as a kid, and so, when your own kids asked for one, you caved immediately. Sure, you always see them sitting empty in everyone else’s backyard, but your trampoline and your family will be different. 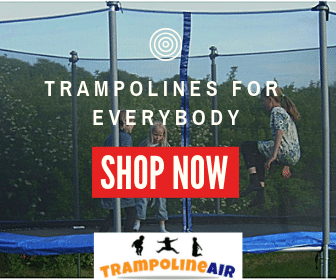 So you fulfilled your own childhood wish and the wish of your children, and you bought a trampoline. You staked out a perfect patch of grass for it. You got it equipped with all the safety features, so that your kids could play carefree and have tons of fun. The first few days were great. 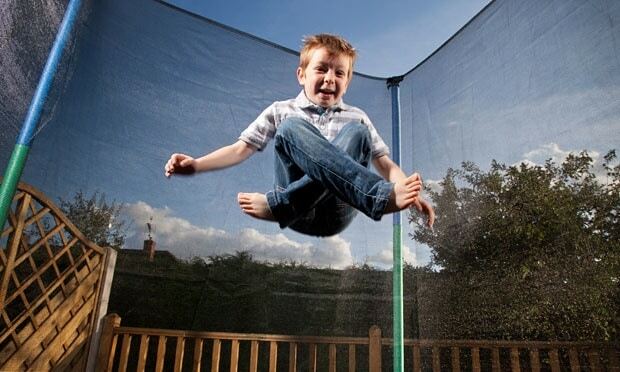 Your backyard trampoline was instantly the best parenting decision you ever made, but then the novelty wore off. It turns out, even for your kids, there’s only so much jumping up and down they can tolerate. 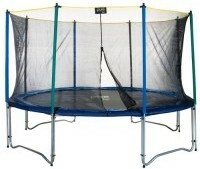 But that’s no reason to give up on your trampoline. It might not be new and exciting anymore, but there are still plenty of ways that they can enjoy it. 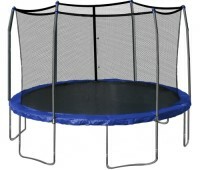 In fact, you might find that there is fun to do for you on the backyard trampoline too. 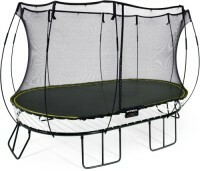 Here are 6 fun things to do on a trampoline that go beyond just jumping. Never underestimate the power of adding water to a children’s activity. In the heat of the summer when your kids are tempted to stay in the comfort of the air conditioning and play on their phones, the promise of cool water can get them outside. It’s no wonder adding water is one of the best fun things to do on a trampoline. Just set up a sprinkler underneath or beside the trampoline, and let the fun begin. They can bounce in and out the water, and they can get nice and cooled off. You’ll want to keep an eye to make sure that they are playing safely, and you will all need to be mindful of the slippery surface. As long as things don’t get too rambunctious your kids will have a blast, and the neighbor kids will be eager to join in too. These days you can turn just about anything into a ball pit for your kids, so why not use the trampoline. 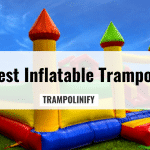 You can combine the fun of jumping with the fun of a ball pit, and your kids will get a completely different trampoline experience. 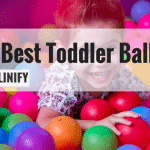 You can purchase the plastic ball pit balls from places like this one here, and you don’t have to go nuts in order to make sure your kids have fun. You can find lots of crazy parents who filled their trampoline enclosures to the brim, buying hundreds and hundreds of plastic balls. You don’t need to do anything that extreme to ensure your kids have fun. 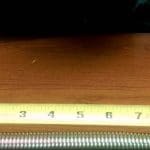 Even a thin layer provides excitement and stimulation. Slumber parties are great, but aren’t they even better when the kids get to sleep outside? 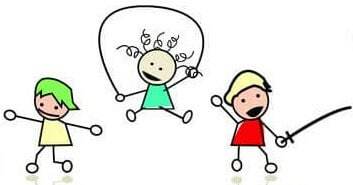 They get to have fun, burn off lots of energy, giggle and scream until their heart content, and you get a good night’s sleep. Trampolines are perfect for outdoor sleepovers. 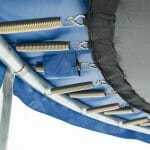 In fact, once you spread out a few sleeping bags on its spongy surface, you’ll wonder why you haven’t done it before. Your kids and their friends get an experience that is somewhere between a camping trip and a slumber party. They get to sleep with the stars overhead, but they don’t have to worry about rocks under their sleeping bags, or ants crawling in their pillows. 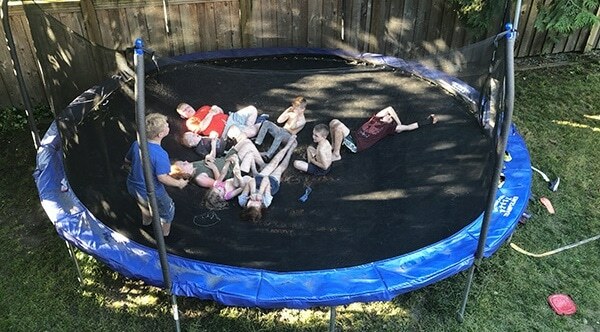 You probably didn’t spend all that money on a trampoline just to have your kids use it the same way they would a free chunk of sidewalk, but adding chalk to a trampoline is a perfect way to give it a new spin. On days when your kids are tired of jumping, and twirling, and dancing, hand them a bucket of chalk, and let the fun begin. They can draw a hopscotch board, or play tic-tac-toe, or draw pictures and play word games. The best part? It just takes a little hose water to clean it all off. 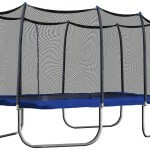 Again, there’s just only so much time that your kids can bounce up and down without getting bored. They need another element to make the jumping more interesting. With a little adult supervision, they can practice doing tricks and flips for points. 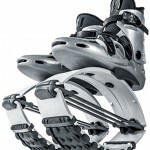 They can see who can jump the highest, or they can see who can stand on foot the longest without falling over. 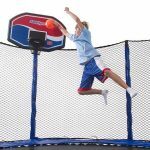 Your kids can certainly participate in this activity, but it’s a great way to get a little alone time on the trampoline and use it for yourself. Yoga is all about balance, and what better way to test and strengthen your balance than by using the springy surface of a trampoline? 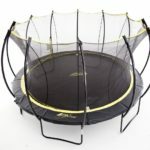 You’ll get improved core-strength, better balance, and you’ll finally feel like you’re making the most of your trampoline. 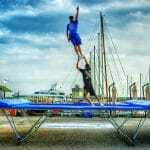 By employing these fun things to do on a trampoline you can add an extra level of fun to your family’s trampoline. You can get your money’s worth out of your investment, and you can help your kids make the most of their free time.